If your border is short on sunlight, fill it up with this lush, shade-loving combo. 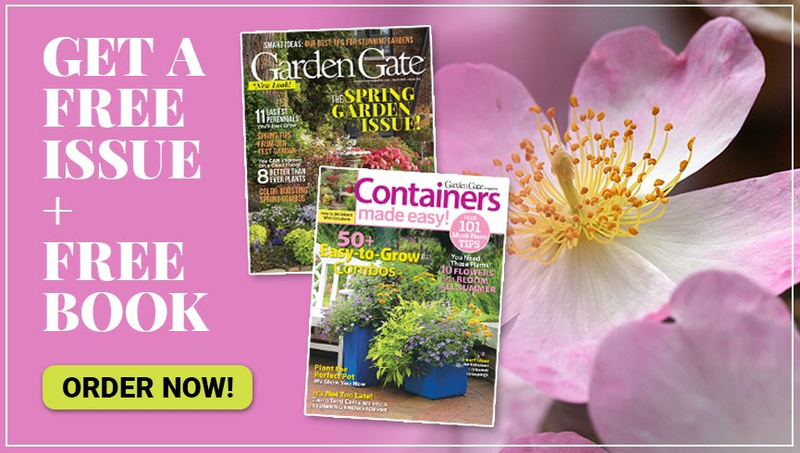 It will keep your garden looking fresh all season long. 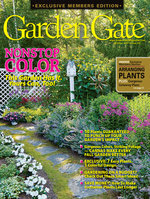 Looking to step up your shade garden? The answer is in the foliage. Keep the garden elegant with lady fern. Bright green, lacy fronds stand erect. At 1 to 3 ft. tall, it’s perfectly poised to be a focal point midborder, its upright shape leaving room for low-growing plants around the base, like this ‘Jack Frost’ brunnera. Compared to other ferns, lady fern is more drought-tolerant, although it prefers damp soil. If the soil is consistently moist, it can manage in full sun, too. But it is most commonly planted in part or full shade. Pretty, red-hued spring fiddleheads — furled fronds — add some interesting contrast to the consistently green foliage. 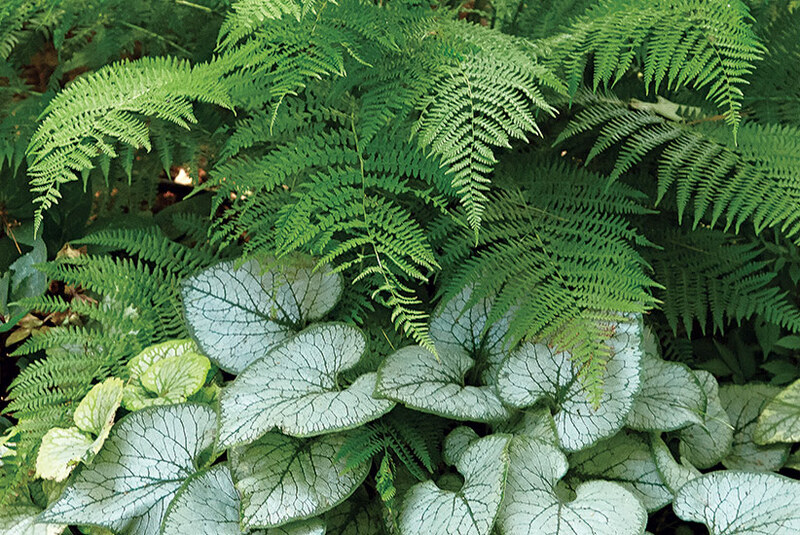 The brunnera’s bristly, heart-shaped leaves brushed with silver are about 8 in. across and look good all season. It tops out at about 18 in. so it belongs in the front of the border or as a ground cover. Even though the foliage is the main attraction, clouds of tiny blue flowers float above the foliage for several weeks in spring. Not only does it look great, it’s also easy to care for. Moist and shady areas and 3 in. 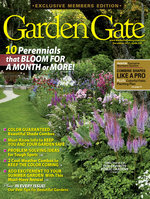 of mulch should keep watering to a minimum, even during dry spells. To keep your plant looking its best, divide it every three or four years. 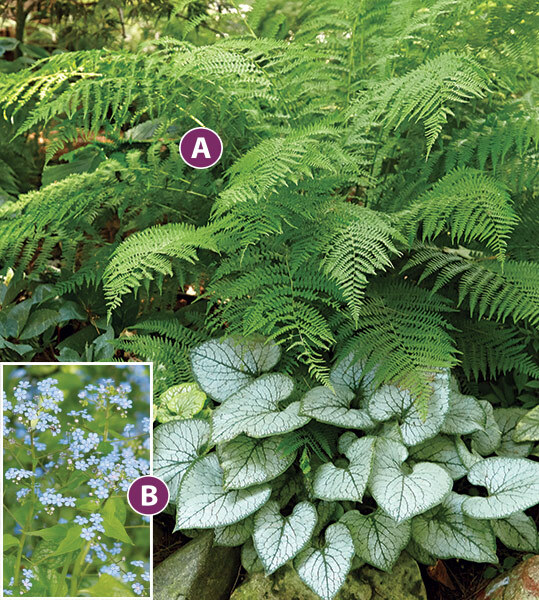 Scroll down for more growing information, or check out this other great combo for plants that thrive in dappled sunlight. Beautiful and easy to care for, there’s a reason these old-fashioned favorites are still around. Check the out the slide show to find some new favorites.